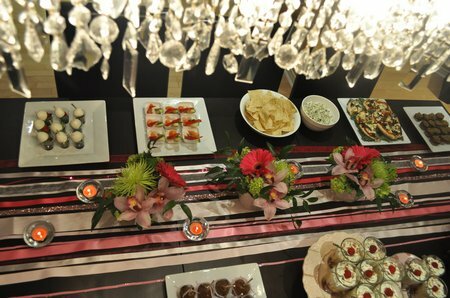 The 100 000 Hits Party was sponsored by La Petite Fleur. This is my sister Heather’s flower and gift shop, located in Uxbridge, Ontario. She is an amazing florist. She puts colours and textures together in artful, unique, and stunning ways to create one-of-a-kind designs for every occasion. 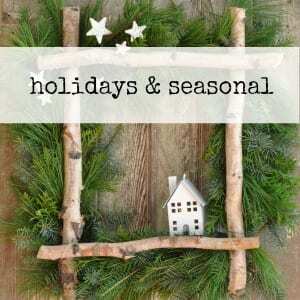 She uses that same eye for design to fill her store with beautiful, stylish home decor products and gifts. Let’s just say I do all my Christmas and birthday shopping for myself from her at La Petite Fleur, as in “I’d like one of those please, oh and that would look great in my living room…”. For this party she worked with me to come up with exactly what I wanted. I asked for pink and a little glitz, and she sure delivered! 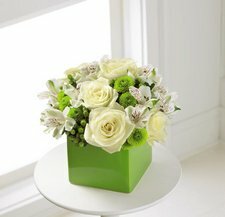 For the dinning room table, where the food was served, she suggested three beautiful, low, and matching arrangements. We wanted to echo the linear quality of the chandelier, by creating a row of flowers. It also tied in with the beautiful runner I created out of ribbon. 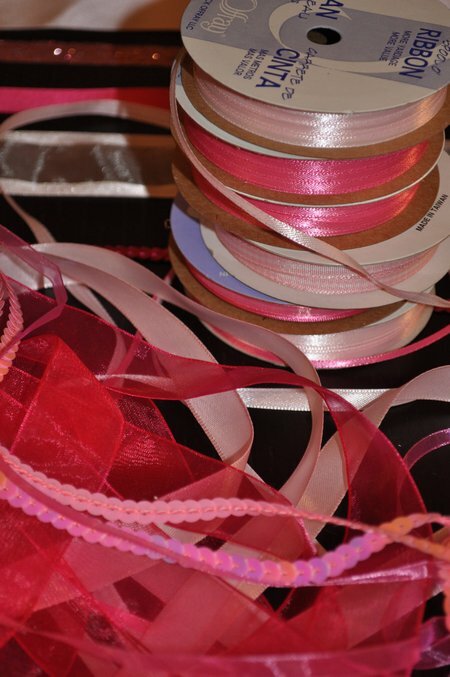 I went to my local fabric store and bought lengths of ribbon in different textures and shades of pink, along with some sequins for the glitz factor. I love how it turned out, and I’m sure it’s something I’ll be able to use time and time again. 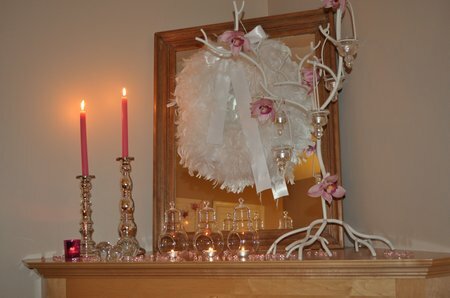 For the fireplace mantel, Heather worked with the candelabra that I already had, and stunning pink orchids. 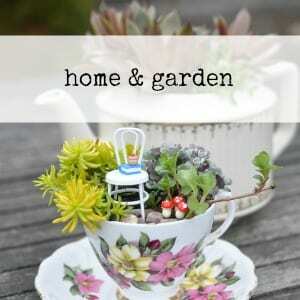 If you wanted to create a similar look at home, without the candelabra, you could use a vase of twigs as your base. 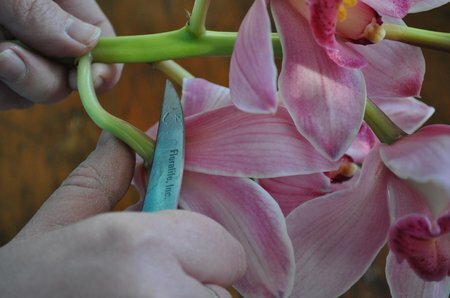 Heather began by cutting the orchid off the stem, very close to the base of the bloom. 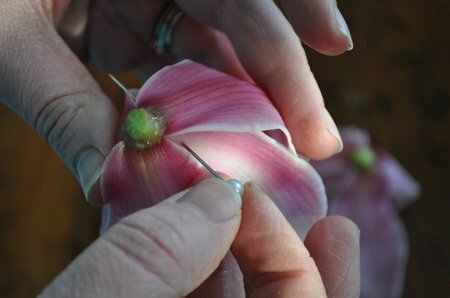 Then she used a pearl headed straight pin, and inserted it through the back of the flower. She was then able to tie a piece of clear fishing line to the pin, and hang it on the candelabra. The finished product was simple and stunning. 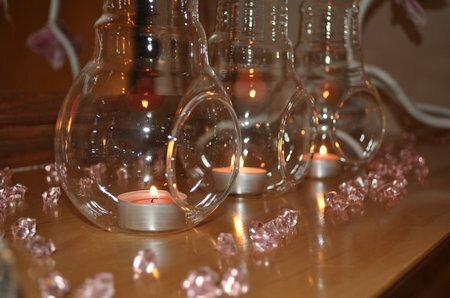 Heather also brought the beautiful glass candle holders, that we used on the mantle. They can also be hung. Wouldn’t they be gorgeous in a tree on a summer night in the garden? 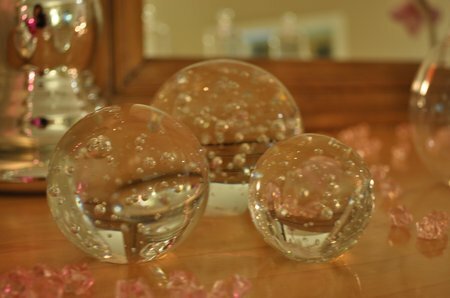 The mantle looked great, in all it’s sparkly, pink glory! In the kitchen we wanted to add an easy arrangement, that tied in with the pink and glitz. 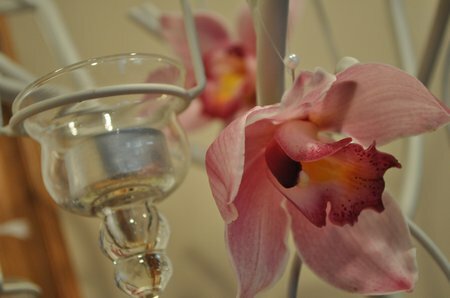 Heather came up with using orchids again and floating candles. 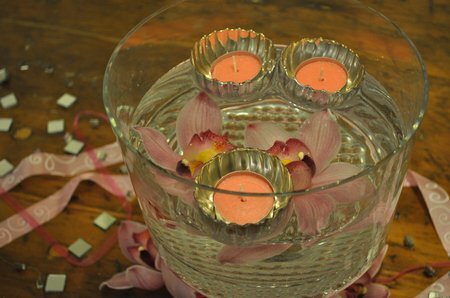 She submerged several blooms in a glass bowl, and added beautiful mercy glass floating candle holders. 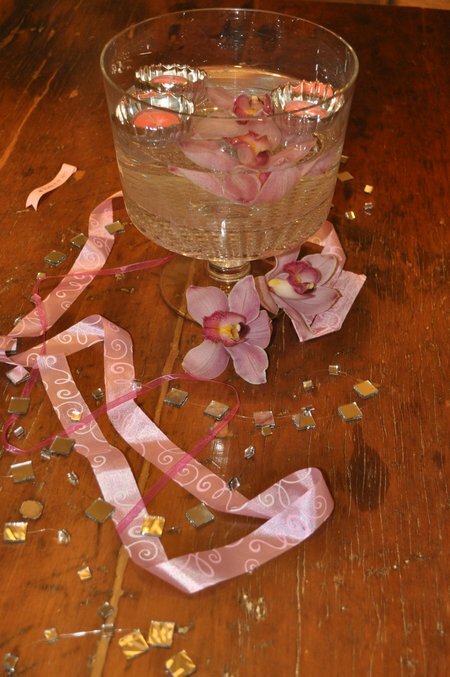 We dressed the rest of the table with some more ribbon, orchids, and a beautiful mirror garland. I loved working with Heather, (not just because she’s my sister, but for that reason too ;)) because she has an incredible eye for detail, and yet a fun-loving ease about her. 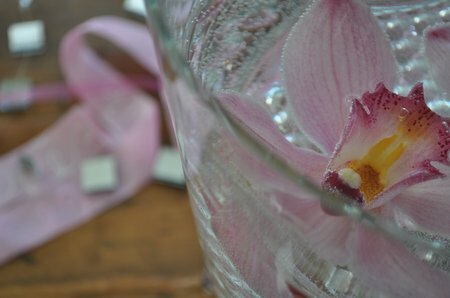 I love how all the arrangements she did were different, but tied together by the use of orchids, and the colour pink. 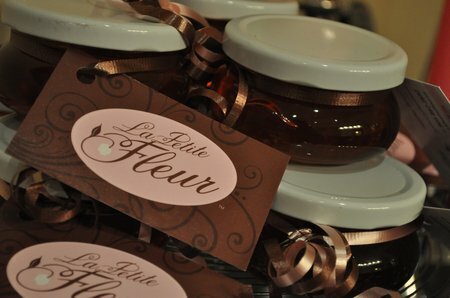 La Petite Fleur was kind enough to also bring a “sweet” take-home treat for all the guests. Heather brought a pretty little jar of local, organic honey for everyone. 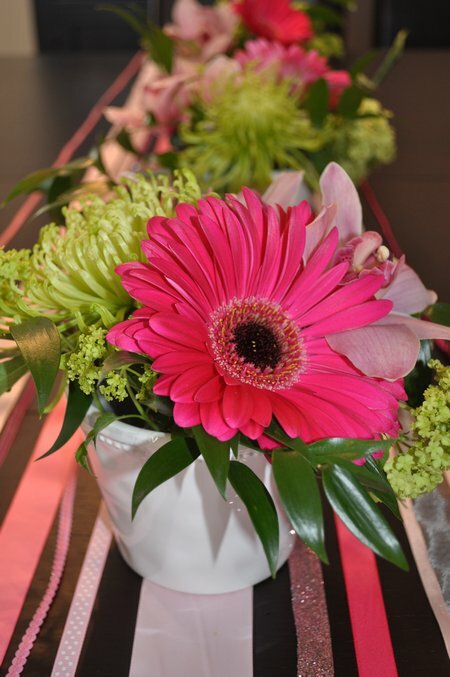 Check out La Petite Fleur located at 45 Brock St. West, in beautiful downtown Uxbridge, Ontario. 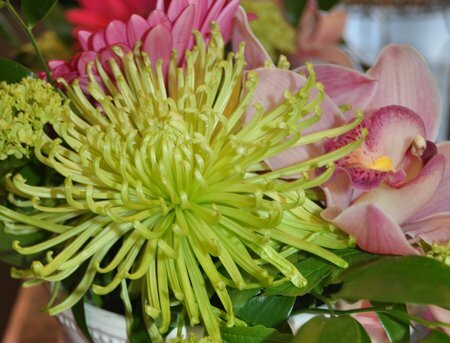 Heather’s store is a full service florist, where she’ll work with you to create beautiful, memorable pieces for any occasion. You can also order on-line here, for your convenience. 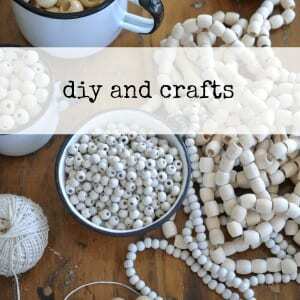 Have a look at her new blog, where she features all her latest projects, products and how-to’s. Her store also offers a full line of wonderful classes, from basic to advanced floral design, cooking and entertaining, and gardening. 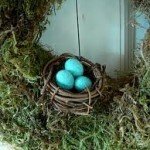 On her website you’ll find a full schedule for all her up coming spring classes, like this one on how to make a spring wreath. 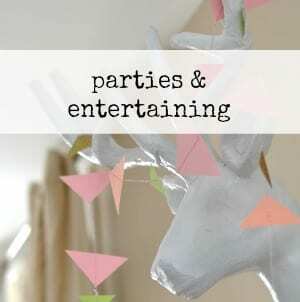 This post is linked up at Under the Table and Dreaming, Blue Cricket Design, and at Tablescape Thursdays at Between Naps on the Porch. « 100 000 Hits Party! What a talented pair of sisters! I want your genes!! Heather did a fantastic job on the flowers as always. The pink orchids were beautiful. I found your blog from BNOTP and just love it! 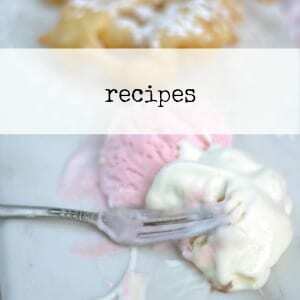 What wonderful and gorgeous recipes and ideas! 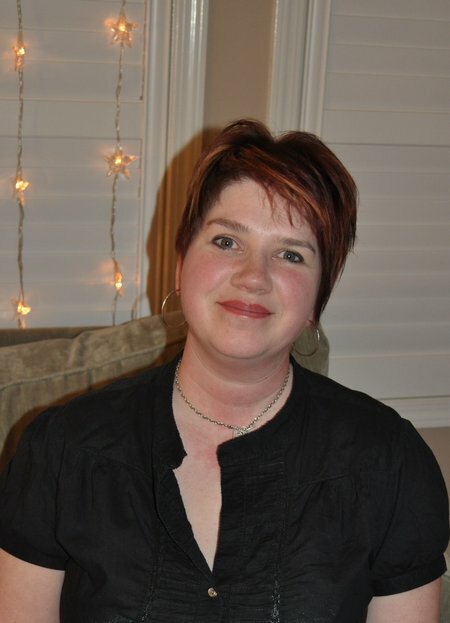 I’m now following you and excited to read through more of your blog! Everything looks beautiful. Love all of the pink details! Everything looks so lovely. The centerpiece arrangements are beautiful!